Bike, walk, skate or scoot down to Dogpatch and enjoy FREE admission to the museum all day! View our exhibitions, Material Domestication and Wanxin Zhang: The Long Journey, then join us in the MakeArt Lab and parklet to create festive Sunday Streets decorations for your preferred mode of transportation! 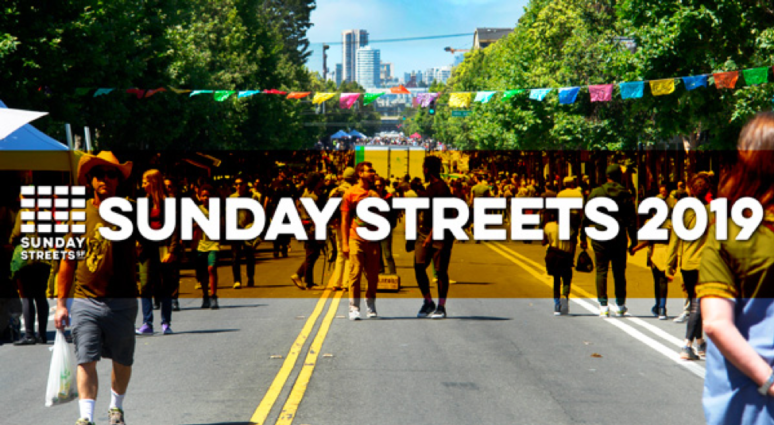 Sunday Streets connects the lively 22nd Street in Dogpatch to The Bayview’s main corridor and beyond, with a car-free route spanning Third Street from 22nd Street to Carroll Avenue and creating a safe and spacious temporary park for the community to enjoy. Walk, bike or catch the T Line (the city’s first new light rail line in more than half a century) which will run throughout the day. Make the day yours with fun, free exhibits and activities and five Activity Hubs. More info HERE.